. 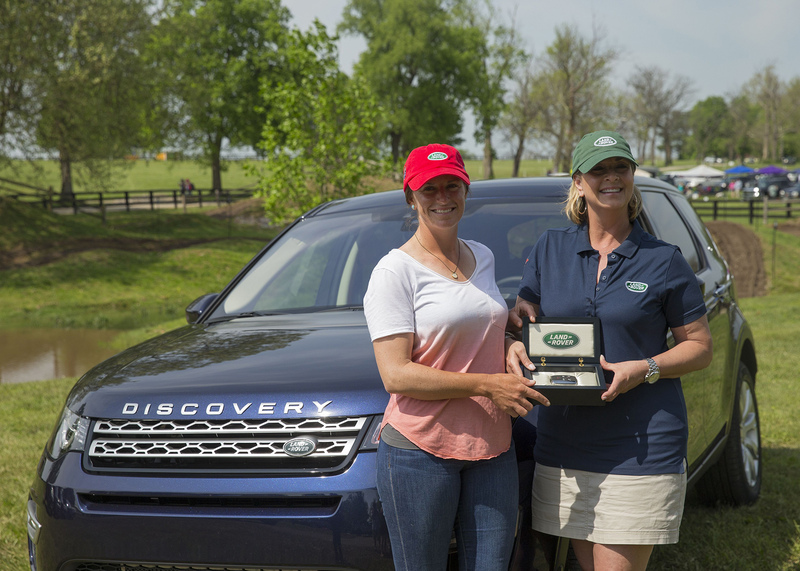 :: ERIN SYLVESTER AWARDED LAND ROVER DISCOVERY SPORT FOLLOWING "LAND ROVER BEST RIDE OF THE DAY" VICTORY ::. 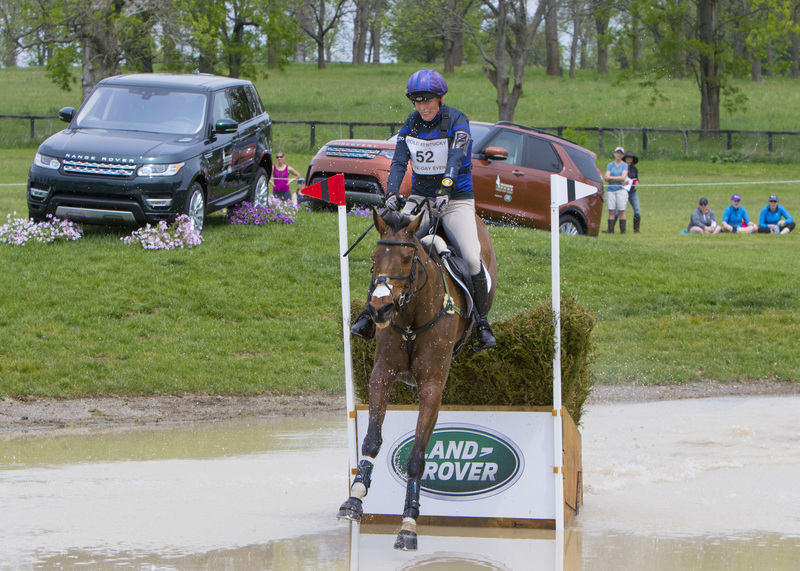 (LEXINGTON, KY.) – April 29, 2017 – Erin Sylvester produced a thrilling round aboard her 13-year-old thoroughbred mare Mettraise to win the “Land Rover Best Ride of the Day” that rewards the top U.S. rider to complete the cross-country course closest to the optimum time without jumping penalties. Sylvester was presented with a 2017 Land Rover Discovery Sport 24-month lease by Helen McDonald, Events and Partnerships Manager, Jaguar Land Rover NA LLC. at the 2017 Rolex Kentucky Three-Day Event Presented by Land Rover. The optimum time of 11 minutes and 17 seconds proved difficult for the horse and rider combinations with only five out of 57 starters finishing within the time set by renowned course designer Derek di Grazia. Despite accurate clear rounds from fellow U.S. team mates, Holly Payne Caravella and Matthew Brown, Sylvester demonstrated true perfection, finishing spot-on the optimum time of 11 minutes and 17 seconds, to win the Land Rover Discovery Sport 24-month lease. “I was really pleased with Missy, this is her first four star! I didn’t go out with the aim to get closest to the optimum time but towards the end I realised I could do it. The conditions were perfect for her and she tried her heart out,” Sylvester commented on her result. “I am really happy with the ride today but I am especially excited to win the ‘Land Rover Best Ride of the Day’ and can’t wait to have my new Land Rover Discovery Sport at home”. The entry point into the Land Rover Discovery family, the Discovery Sport is a premium compact SUV that upholds the brand’s core values of capability and versatility. Its unique design provides seating for up to seven passengers while maintaining a compact exterior footprint. The Discovery Sport features a 2.0L turbocharged engine producing 240hp and 251 lb ft of torque, paired with a nine-speed automatic transmission and intelligent all-wheel drive for a refined combination of performance and refinement. Cross-country day at the Rolex Kentucky Three-Day Event proved action-packed for the 35,000 spectators that descended on the Kentucky Horse Park. Land Rover Ambassador, Zara Tindall (GBR), jumped up the leader-board into third place after producing an almost perfectly timed clear round in 11 minutes and 16 seconds on her 16-year-old gelding, High Kingdom. Germany’s Michael Jung is on track to make history by being the first rider to win three consecutive Rolex Kentucky titles after taking the lead. Frenchman, Maxime Livio and Qalao Des Mers lies in second place heading into tomorrow’s show jumping phase. Along with the equestrian action on the cross-country course, the sixth annual “Land Rover Tailgate Challenge” also took place awarding the most creative, best-decorated and best-catered Land Rover tailgate party. It was Samantha Will-Baccari, who was crowned the winner and presented with a pair of Dubarry Boots. "It's the first time I've participated and it's such a beautiful spot, said Will-Baccari, “I'm happy to be here today and to make it comfortable for our guests"
For the eighth year running Land Rover North America returned as presenting sponsor of the 2017 Rolex Kentucky Three-Day Event, continuing their longstanding support of the United States Equestrian Federation (USEF) and equestrian sports. As one of six annual Four-Star Eventing competitions around the world (alongside the Olympic Games and World Championships), the Rolex Kentucky Three-Day Event is one of the most prestigious competitions in the world. For any equestrian fans unable to attend the event, the NBC telecast of the Rolex Equestrian Championships presented by Land Rover will allow those to enjoy it from home on Sunday, May 7, from 1:30 to 3:00 p.m. EST and NBCSN on Sunday, May 28, from 3:00 to 4:30 p.m. EST.